Tamsyn Tresize is Sixteen years old, and totally obsessed by the Cliff House and it’s inhabitants- as only a Sixteen year old girl can be. Tamsyn’s late Father is the one who introduced her to the secret hideaway, where she can watch the gorgeous house completely undetected. Robert Tresize also taught his daughter how to creep into the house when it was unoccupied and swim in its opulent Art Deco themed outdoor pool. Edie (Edith) Davenport is Seventeen and effortlessly glamorous in the way only those born into privilege can be. Edie and her family have in fact arrived for the summer. Her parents are busy and have dropped Edie off at the house before they will rejoin her later. Tamsyn is mortified to have been caught, but enthralled by Edie’s presence. Despite their obvious class differences the two girls soon become friends. But for Tamsyn at least, Edie is just another element of the Davenport’s lives to become obsessed with. 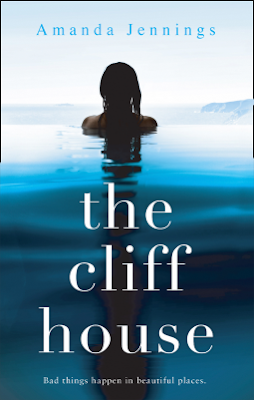 The Cliff House is available from 17 May 2018.